Using an E-collar to Teach Heel. Having a dog that walks nicely on leash is a goal for most pet owners. No one enjoys being pulled down the street or subjected to the barking lunge some dogs do when they see other dogs or people coming toward them. It simply isn't pleasant and unfortunately many dogs stop getting routine walks and outings because they are too unruly on leash. The solution is to teach Heel, which means teaching the dog a specific location they need to remain in when walking with you. From the dog's perspective it is more than just not pulling, or creating tension on the leash. It is actually a very defined area that the dog learns to remain in, in relationship to you. Historically, Heel has been taught on the left side of the handler, although there is no absolute that you need to do it that way. If having the dog on your right side suits you better, that is fine. 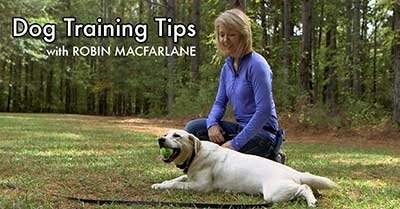 The most important thing is to remain consistent as you teach this skill so that your dog comes to understand he should not be switching sides, while also learning not to walk too far in front or behind you. A dog that really understands the Heel command will keep pace with you, speeding up if you speed up, slowing down if you slow down, turning in sync and stopping when you stop. It really is an exercise in paying attention. Which means if the dog is really paying attention to matching your gait, there is less attention to the distractions in the surrounding environment and more focus on working as a team. Here is a short clip of me working with Lucy to teach the Heel. Notice that I'm using the e-collar to identify moments when she is out of position and this also includes when she dips her nose to sniff the ground. When I ask a dog to Heel, the expectation is to remain fairly attentive. This means not losing your focus to interesting smells and trailing off to follow them. There can be plenty of opportunity for the dog to sniff to their hearts content when you give permission. But when you decide to issue a Heel command, be steadfast in your expectation. 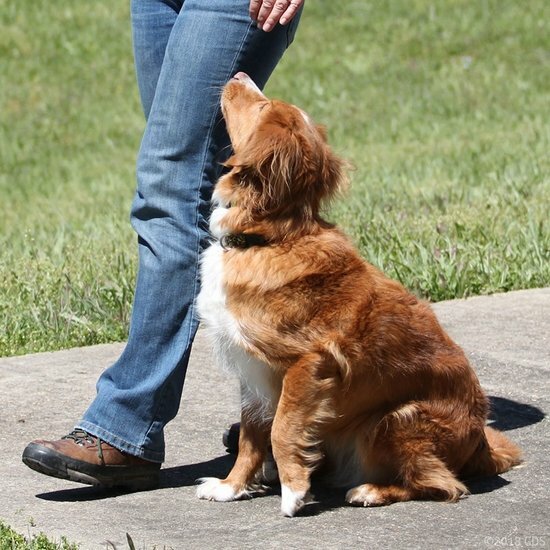 If you are consistent with your criteria for this position, you build an iron-clad response that allows you to walk through any environment without your dog getting themselves in trouble by pulling or lunging away. Take a look at how to get started. Pull-Quote= The Heel command is actually a defined area that the dog learns to remain in, in relationship to you.